We believe that a healthy mouth is very crucial for speech and influences our ability to taste, chew, and digest food. More so, we know that poor dental health involves an increase in the bacteria in our mouths, which can lead to several serious illnesses including cardiovascular disease, respiratory illness, stroke, dementia and adverse fertility issues. Thus, your oral health is essential to your general health. At Passion Family Dental, we are dedicated to helping the Griffin community and its surrounding suburbs in maintaining and enhancing their residents’ oral health. 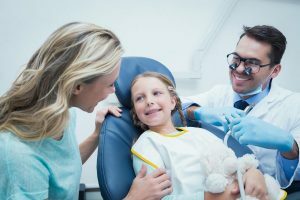 We deliver complete dental care for kids and adults, including patients who need special attention due to medical conditions that may add complications to the management of their oral health. Although a lot of people fear going to the dentist, what they don’t know is that dental care does not have to include difficult, painful procedures. Regular appointments for checkups and cleans can reduce the need for restorative and emergency treatments. Preventive dentistry is your best protection against different dental conditions such as gum disease and tooth loss. Preventive dentistry involves a combined effort between you and your dentist to ensure proper dental care each day. At Passion Family Dental we want to help the residents of the Griffin area to avoid costly and invasive procedures by helping you take care of your oral health. We will help you maintain your daily oral health which in turn will help your general health. Our general dentists provide excellent dental care so that your smile is flawless. Our dental clinic is well equipped to meet all of the dental needs of the residents of Griffin and surrounding areas. Our dental care services are designed to take care of all dental issues, from comprehensive examinations and professional dental cleans, to other more complex dental procedures, we always have you covered. Do you want to create a positive change in your teeth and add a little more sparkle to your smile? Cosmetic dental treatments help your teeth achieve an improved appearance. A smile can have such a bright effect on your overall appearance; even the smallest change can enhance your self-confidence, self-esteem, and make you ask for more. In restorative dentistry, we perform treatments that help you achieve a healthy and functional mouth. Accidents occur, and recognising what to do when one happens can mean the difference between saving and losing a tooth. We endeavor to always have appointments available for patients in an emergency or experiencing pain. For your convenience we offer free onsite parking as well as street parking. We are also wheelchair friendly!